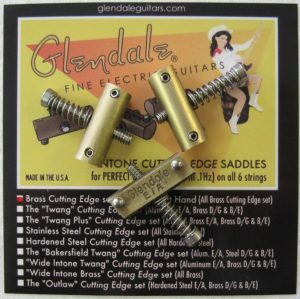 Glendale brass Telecaster saddles. 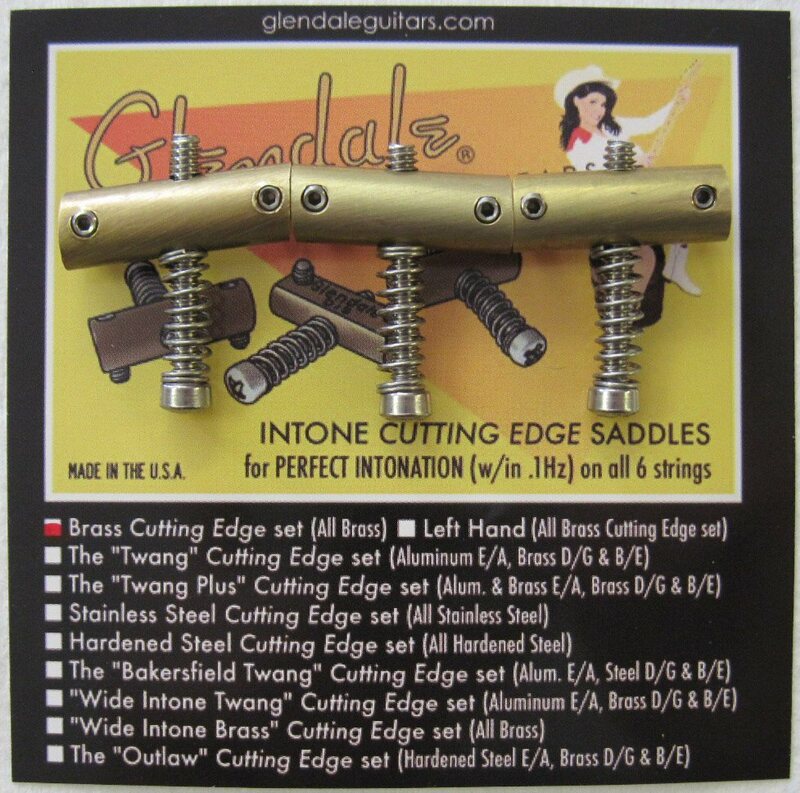 A great set of saddles with some big advantages over stock Fender saddles. 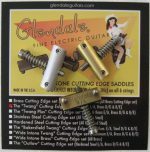 Glendale saddles are tilt-compensated for precise intonation accuracy. 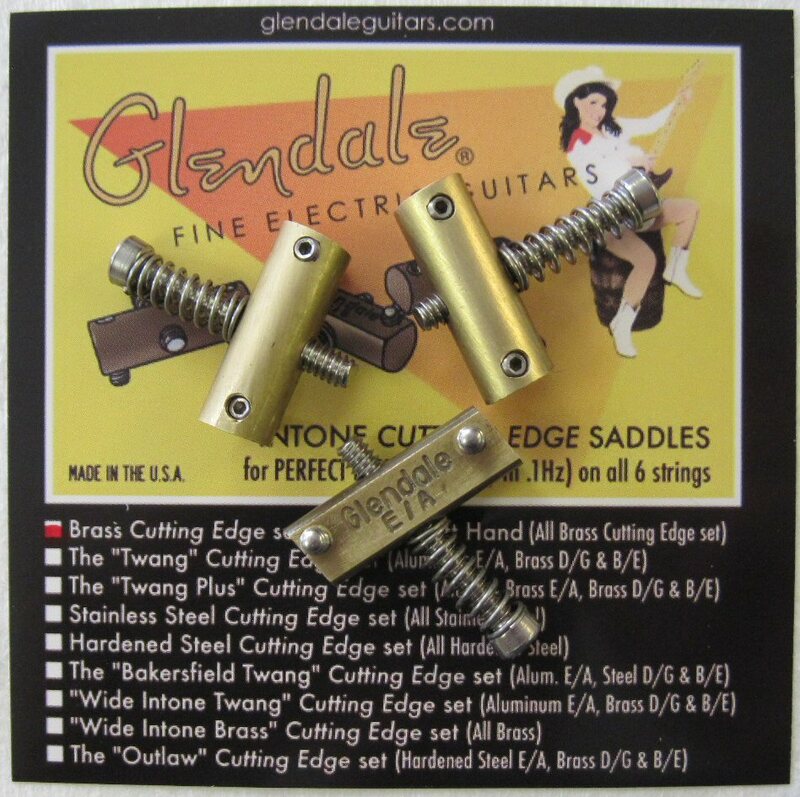 The height adjustment screws are spaced further apart so all strings rest completely on the top surface of the saddle, not over or up against the height adjustment screws. And the height adjustment screws are shorter, so they don’t stick up and scratch your hand! 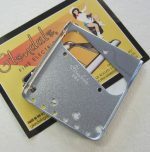 Set of 3 with screws, springs, and adjustment wrench. Highly recommended!